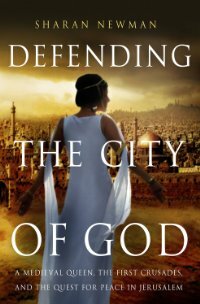 Defender of the City of God is a new book by award winning author Sharan Newman. 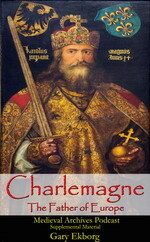 It examines the First Crusade, the Crusader state of Jerusalem and Queen Melisande. 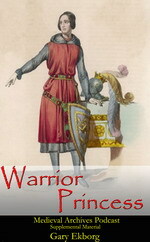 Sharan also writes fiction novels based in the Middle Ages, including a series of Medieval mysteries. In this lesson we talk with Sharan about her background, her books, both fiction and non-fiction, her writing style and her love of the Middle Ages. Jerusalem sits at the crossroads of three continents and has been continuously invaded for millennia. 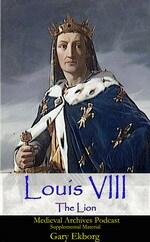 Yet, in the middle of one of the region’s most violent eras, the Crusades, an amazing multicultural world was forming. Templar knights, Muslim peasants, Turkish caliphs, Jewish merchants, and the native Christians, along with the children of the first crusaders, blended cultures while struggling to survive in a land constantly at war. Defending the City of God explores this fascinating and forgotten world, and how a group of sisters, daughters of the King of Jerusalem, whose supporters included Grand Masters of the Templars and Armenian clerics, held together the fragile treaties, understandings, and marriages that allowed for relative peace among the many different factions. As the crusaders fought to maintain their conquests, these relationships quickly unraveled, and the religious and cultural diversity was lost as hardline factions took over. Weaving together the political intrigues and dynastic battles that transformed the Near East with an evocative portrait of medieval Jerusalem, this is an astonishing look at a forgotten side of the first Crusades.